A350 XWB News: Air France delays the order for #25 A350 XWB and demands engine maintenance rights in exchange. 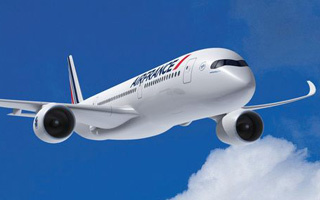 Air France delays the order for #25 A350 XWB and demands engine maintenance rights in exchange. Air France-KLM talks for #25 A350s remain stalled over the long-running dispute between the company and Rolls-Royce. Since September/2011 when Air France-KLM placed the provisional order for #25 A350-900 aircraft, at the same time as ordering #25 Boeing 787 Dreamliners. A350 XWB only has the Rolls Royce Trent XWB engine but 787 has both GEnx and Rolls Trent 1000 types for selection. Air France-KLM desires to overhaul the Trent XWB engines, offering its own maintenance, repair and overhaul services and wants to become an MRO centre for Trent XWB with a new low-cost facility in China. "The issue is service and maintenance. We have a solid engine maintenance operation and Rolls has a policy of doing the maintenance itself," Alexandre de Juniac, chief executive of Air France. Air France, traditionally a customer of General Electric engines, wants to expand its involvement in servicing engines, not only for its own fleet but also for other airlines to try to boost profits. 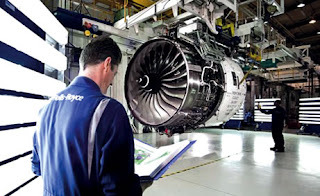 Rolls-Royce, as other engine suppliers, is loath to grant MRO rights to others. Engines are often sold at deep discounts, and in extreme cases, even given to airlines in exchange for the exclusive parts and MRO contracts. This is where the engine makers truly make their profits. To unlock the situation, Rolls has proposed Air France to order the Trent 1000 for the #25 Boeing 787 orders announced last year. Air France´s fleet is equipped solely with engines from GE or its joint ventures with Safran and Pratt & Whitney. And GE lets Air France Industries service its existing models. So the $7 billion Airbus order could take several months more to resolve.